This would make India the fastest growing country among emerging economies. IMF has projected a 7.8% growth rate for India in 2019. Washington/Davos: India is projected to grow at 7.4 per cent in 2018 as against China's 6.8 per cent, the IMF said on Monday, making it the fastest growing country among emerging economies following last year's slowdown due to demonetisation and the implementation of the GST. In its latest World Economic Outlook (WEO) update released on Monday in Davos, Switzerland on the sidelines of the World Economic Forum, the International Monetary Fund has projected a 7.8 per cent growth rate for India in 2019. Growth rate projections for both 2018 and 2019 remains unchanged since its October 2017 WEO projections. China, during the same period is expected to grow at 6.6 per cent and 6.4 per cent respectively, the IMF said. The IMF said, the aggregate growth forecast for the emerging markets and developing economies for 2018 and 2019 is unchanged, with marked differences in the outlook across regions. 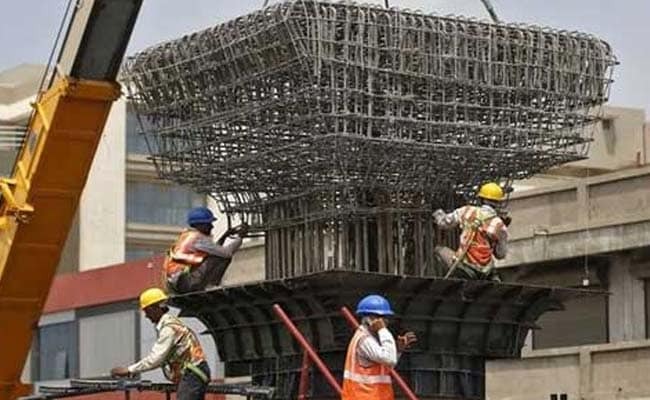 It projected India to grow at 7.4 per cent in 2018 as against China's 6.8 per cent. Emerging and developing Asia will grow at around 6.5 per cent over 2018-19, broadly the same pace as in 2017, it said, adding that the region continues to account for over half of world growth. "Growth is expected to moderate gradually in China (though with a slight upward revision to the forecast for 2018 and 2019 relative to the fall forecasts, reflecting stronger external demand), pick up in India, and remain broadly stable in the ASEAN-5 region," the IMF said. In the year gone by, China (6.8 per cent) was ahead of India (6.7 per cent), giving China the tag of being the fastest growing emerging economies, as has been the case for major parts of the past several decades. Notably, with a growth rate of 7.1 per cent, India was the fastest growing country among emerging economies in the year 2016. But due to demonetisation in late 2016 and implementation of the Goods and Services Tax (GST), India's economy slowed down a little bit to 6.7 per cent in 2016. In 2017, India's growth rate dropped to 6.7 per cent. According to Maurice Obstfeld, IMF Economic Counsellor and Director of Research, the two biggest national economies driving current and near-term future growth are predictably headed for slower growth. China will both cut back the fiscal stimulus of the last couple of years and, in line with the stated intentions of its authorities, rein in credit growth to strengthen its overextended financial system. Consistent with these plans, the country's ongoing and necessary rebalancing process implies lower future growth, he said at a news conference in Davos. "As for the United States, whatever output impact its tax cut will have on an economy so close to full employment will be paid back partially later in the form of lower growth, as temporary spending incentives (notably for investment) expire and as increasing federal debt takes a toll over time," he said. Early this month, a top IMF official said that India is reclaiming its place as a growth leader. "China alone is providing one-third of global growth. Japan has been growing above potential for several quarters," said the IMF First Deputy Managing Director David Lipton at the Asian Financial Forum in Hong Kong on January 15. "India is reclaiming its place as a growth leader after a short slowdown. And the ASEAN-5 have gained momentum in response to higher investment and increased exports," Lipton had said.